"SCC: Empowering Smart and Connected Communities through Programmable Community Microgrids", funded by NSF. "Modeling, Analysis and Anomaly Detection for Cyber Secure Eversource Power Distribution Networks", funded by Eversource Energy, a northeast energy company. "Energy Management Systems for Subtractive and Additive Precision Manufacturing" , funded by Clean Energy Smart Manufacturing Innovation Institute. With highly interconnected networks of physical devices and embedded computers, exhibiting continuous physical model and discrete computational behavior, Cyber-Physical Systems (CPSs) are becoming a substantial part of our life. 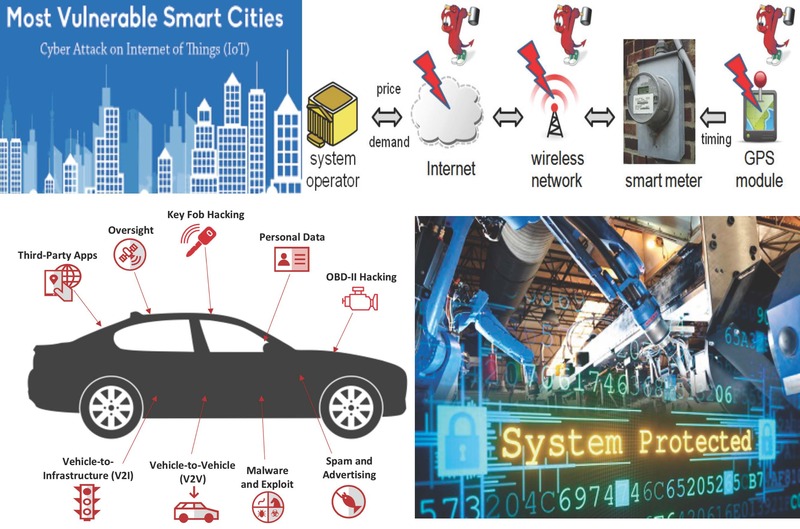 While there is enormous potential improvement, how to utilize the large amount of sensing information to enhance system performance in real-time is a new challenge. My work about real-time robust resource allocation problem in smart cities falls in the intersection of data science and control. In particular, we first design a receding horizon control (RHC) framework to dispatch taxis, which coordinates predicted demand models and real-time taxi supply information. 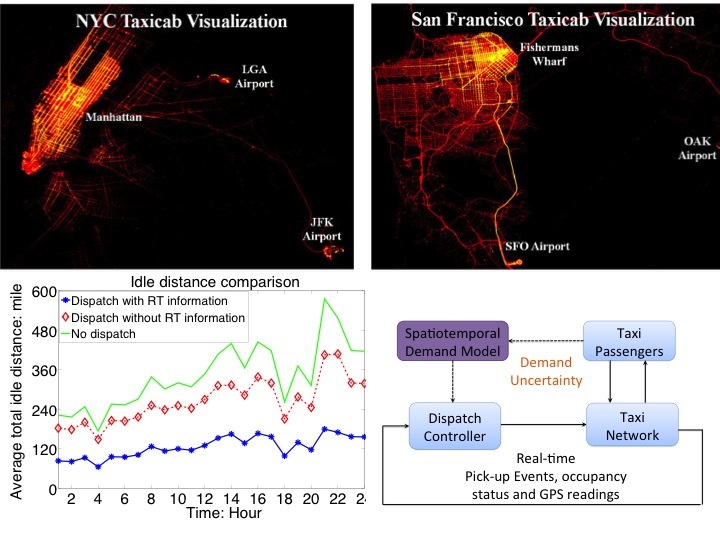 Compared with purely on-demand service like Uber or hail-on-street taxi services, the RHC framework reduces total idle distance and balances vacant taxi supply across the whole city, by considering both current and anticipated future cost based on predicted demand when making current dispatch decisions. Evaluations based on San Francisco taxi data shows that the total idle distance is reduced by 52% with our RHC dispatch framework. To deal with spatial-temporally correlated predicted demand model uncertainties while fulfilling system's performance requirements, we then design a data-driven robust optimization model. A data-driven algorithm for constructing uncertainty sets of random demand vectors that provide a probabilistic guarantee for the performance of robust taxi dispatch solutions is designed. We prove equivalent computationally tractable forms of the robust dispatch problem with the constructed closed convex polytope and second-order-cone types of uncertainty sets. Evaluations on four years of taxi trip data for New York City show the average demand-supply ratio error is reduced by 31.7%, and the average total idle driving distance is reduced by 10.13% or about 20 million miles in one year, compared with non-robust dispatch solutions. Embedded systems form a ubiquitous, networked, computing substrate that underlies much of modern technological society. Such systems range from large supervisory control and data acquisition (SCADA) systems that manage physical infrastructure to medical devices such as pacemakers and insulin pumps, to computer peripherals such as printers and routers, to communication devices such as cell phones and radios, to vehicles such as airplanes and satellites. Such devices have been networked for a variety of reasons, researchers and hackers have shown that these kinds of networked embedded systems are vulnerable to remote security attacks, and such attacks can cause physical damage while hiding the effects from monitors. The requirement of designing secure embedded-control systems introduces new challenges. It is necessary to design attack resilient control schemes and architectures, capable of dealing with attacks on the environment of the controller, including attacks on sensors, actuators, and communication media. From the perspective of detection, the tradeoff between control system performance and the detection rate for attacks highlights the need to provide an optimal control policy that balances the security overhead with control cost. We employ a finite horizon, zero-sum, stochastic game approach to obtain an optimal control policy for switching between subsystems in presence of different types of attacks. We also design time-varying coding techniques with respect to sensor outputs for detecting stealthy data injection attacks to the communication channels. Wireless Control Network (WCN) is a network architecture where the network itself behaves as a distributed, structured dynamical compensator. We study the problem of mapping discrete-time linear controllers into potentially higher order linear controllers with predefined structural constraints. Our work has been motivated by the We make connections to model reduction theory to derive a method for the controller embedding based on minimization of the H∞-norm of the error system. This allows us to frame the problem as synthesis of optimal structured linear controllers, which enables the utilization of design-time iterative procedures for systems’ approximation. The quality of radio communication between low-power sensor devices varies significantly with time and environment. This phenomenon indicates that the previous topology control solutions, which use static transmission power, transmission range, and link quality, might not be effective in the physical world. To address this issue, online transmission power control that adapts to external changes is necessary. 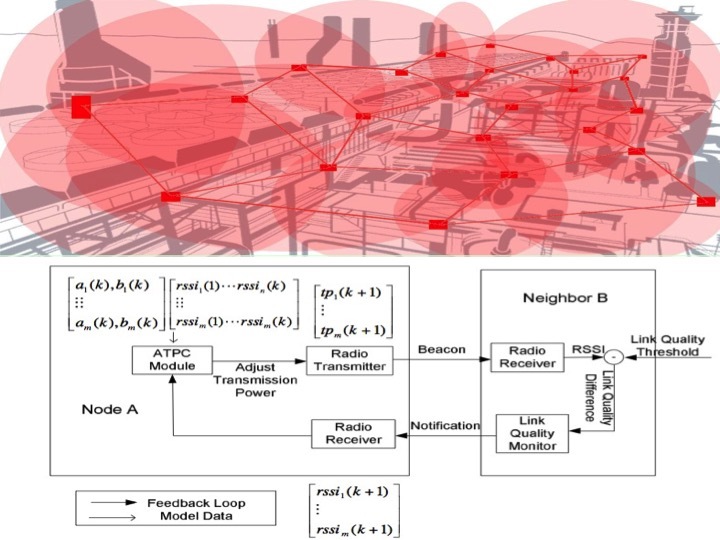 We design ATPC, a lightweight algorithm for Adaptive Transmission Power Control in wireless sensor networks. In ATPC, each node builds a model for each of its neighbors, describing the correlation between transmission power and link quality. With this model, we employ a feedback-based transmission power control algorithm to dynamically maintain individual link quality over time. The results from the real-world experiments demonstrate that (1) with the novel pairwise transmission powerpairwise adjustment approach we design, ATPC achieves more energy savings with a finer tuning capability, and (2) with online control, ATPC is robust even with environmental changes over time.